Blog CAMINO DE SANTIAGO EN GALICIA | News | Close to 32,000 people passed through the Interpretation Centres on the various routes of the Way of St James. These services, located in Cebreiro, Lugo, Mondoñedo and Santiago de Compostela, offer information and contents to learn about and better understand the pilgrimage. Nearly 32,000 people have visited the interpretation centres on the Way of St James so far this year. Galicia has four such centres spread out in the provinces of Lugo and A Coruña, located on three of the existing routes: the French Route, whose centre is in Cebreiro; the North Route, with the centre in Mondoñedo; and the Primitive Route, whose centre is in Lugo. Rounding out this information service are the new facilities located at the end of the pilgrimage, in Santiago de Compostela, as part of the features of the International Pilgrim Welcome Centre. This type of interpretation centre, managed by Turismo de Galicia through the Xacobeo, provide a huge added value to the pilgrimage experience by offering pilgrims support, information and additional content that helps them to understand and learn more about the Way of St James in general, and the route they are walking in particular. They do so from the various perspectives present on the route and that help to enhance them. The Way of St James interpretation centre in Cebreiro, at the emblematic point where the French Route enters the province, hosted the most visitors, already in excess of 12,000. It is this route that is most travelled by pilgrims, accounting for 60% of all walkers. The facility in Lugo received over 6,300 visitors, and the one in Mondoñedo close to 3,200. Finally, over 10,000 visited the International Pilgrim Welcome Centre, near the Plaza del Obradoiro, a location where Turismo de Galicia has set up spaces where pilgrims can receive advice on how to continue their stay in the region after reaching Compostela. 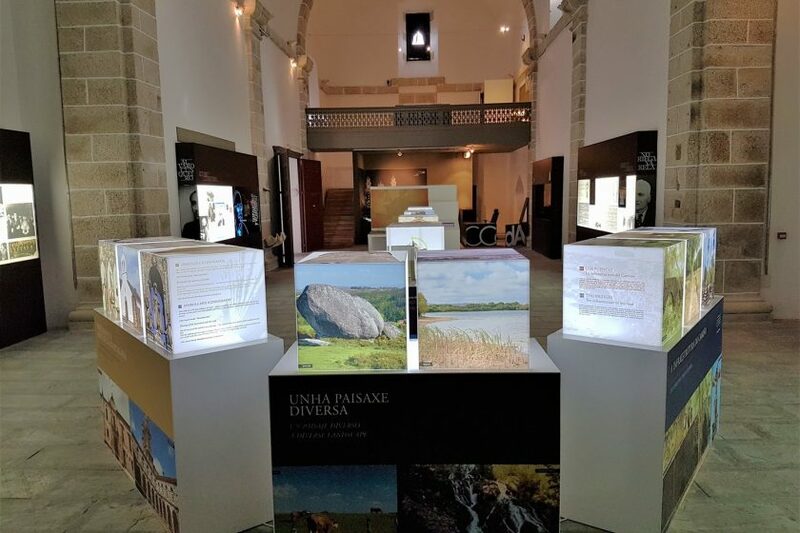 Every centre is located on routes that have been declared World Heritage sites by UNESCO, routes that like all the other itineraries, are constantly being improved under the Master and Strategic Plan of the Way of St James. As we look forward to Xacobeo 2021, numerous initiatives are already underway involving things like route maintenance, signposting and safety, enhancement of heritage values, increased accessibility and environmental sustainability and promoting Xacobean research and culture. Recent weeks have seen the launch of numerous projects, like the pools in the Monte del Gozo Park, which are free all summer long for all visitors, and the new shelter in A Fonsagrada, following the remodelling of a historic building. The Public Network of Shelters also debuted accessible tactile signs for the blind and visually impaired. All of these initiatives have been extended to the Portuguese Route, its variant along the coast, to the English Route, to the Via de la Plata, the Muxia-Fisterra Route and to the Winter Route. Previous Post:2017 SAINT JAMES TRAIL RUN. Namur. France.